Demigod triggers with Howltooth Hollow ? 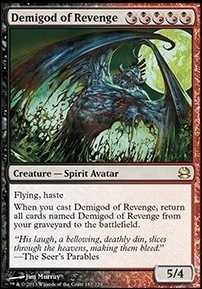 Just as a side note: this deck was originally built around Demigod of Revenge , which is not great in the current meta. As such, the current mainboard still needs some tweaking. Feel free to offer feedback, I'd be happy to hear it. I play Infernal Plunge, since if i played a creature before it, it will ramp as if it was 2x normal mana flares like Pyretic Ritual - there is only a single comparable effect in the format Vessel of Volatility but its a turn slower, and won't help me in powering out turn 2 Blood Moon, or Chandra, Torch of Defiance. And its not problem if i "loose value" on my mana flare. Its there to do broken things, like not allowing my opponent to play magic (as they will only have red mana), play an early chandra they can't really interact with, that can run away with games, or simply as a way to cast Demigod of Revenge on turn 3, & reanimate copies from the grave. When i swing for 10+ damage i don't care that i sacrificed a cheap creature for it. 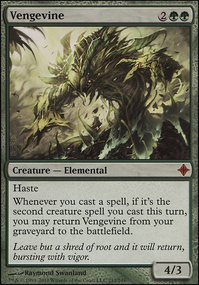 Plus using the ritual on bloodghast is a 3 card combo, as i need a card to loot it into the grave on turn 1, the ghast itself, and the ritual - currently i only need the ritual and the creature. I don't run Bloodghast becasue i am not content with surviving grave hate, i want to thrive against opponent who bring it in against me game 2. 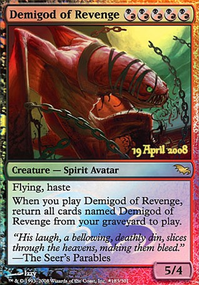 All my grave based cards (Demigod of Revenge & Flamewake Phoenix) are pretty decent even without the added value from the yard - the same cannot be said about Bloodghast. Its also weak, if i want to play the "ride chandra to victory" plan, as it can't block. 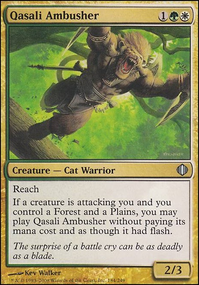 Ghast is also much weaker if i don't run fetches - and as a mono red deck i don't plan to do so. I tried Hour of Devastation, in the heyday of UW gideon tribal "control". Its extremely strong in many matchups, but its excruciatingly bad against decks with Thalia, Guardian of Thraben - which is pretty relevant at the moment. I don't follow the modern meta game very closely but why is there a four of Leyline of the Void in the side if you're running Bloodghast and Demigod of Revenge in the main? The 4 spirit avatars are probably worth mentioning too, if hybrid mana still counts as mono-black. Deity of Scars, Ghastlord of Fugue, Demigod of Revenge, and Divinity of Pride. Excellent if you're trying to get heavy black devotion for Gray Merchant of Asphodel. Demigod in particular is brutal. Bloodrage Brawler is a trap! It dies to most 1 mana removal in the format, leavibg you 1 mana and 1 card short compared to the opposing player. Its a disaster waiting to happen. 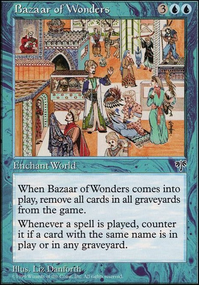 Being mono red or budget is no reason to include the worst (eh... second worst, afetr Avatar of Woe) option in the deck. You have acess to cards like Grim Lavamancer for 5$ - its the second best thing after the all around banned and restricted Deathrite Shaman. 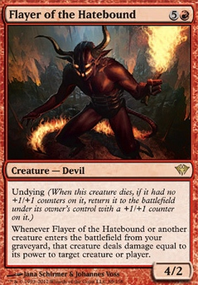 Red has plenty of great cards, but that minotaur at best should be nothing more than a passing sideboard idea for racing in non-interactive matchups. If you want to use you rituals to cast early Demigod of Revenge i would advocate replacing 4x Simian Spirit Guide & 4x Desperate Ritual with 4x Vessel of Volatility as its mora consistent and will provide you with 4 cards to do something more useful. DrukenReaps on The Gods need your help!!!! A friend of mine built a god deck and was having trouble with devotion so he included some of the following and they really helped. Deity of Scars, Demigod of Revenge, Deus of Calamity, Divinity of Pride, Dominus of Fealty, Ghastlord of Fugue, Godhead of Awe, Nobilis of War, Overbeing of Myth, Oversoul of Dusk, Progenitus. He only runs 3 or 4 of them but most of them are interesting options to run. Fist of Suns is also really nice in his deck.